One of the new Wargaming projects I’m working on is some more 1/3000th scale naval. To add to my current ship collection I was looking for something a little different. I just happened to come across a website dealing with the naval side of the Spanish Civil War. That was it, A small new interest and one that could be covered with the expenditure of less than $50.00. I did some research and hit Conway’s. Both Conway’s All the World’s Fighting Ships 1922-1946 and Conway’s All the World’s Fighting Ships, 1906-1921 were checked to get some information on the ships. I then looked in the Navwar catalogue to make sure I could find all the ships necessary to make both the Republican and the Nationalist fleets. as both sides came from the same place and had access to the same stores of paint and other materials, then the vessels were, of course, the same colour. The one exception was the painting of a black recognition bank around the funnels of Nationalist vessels. The ships themselves are an interesting mix of vessels from the near new to the old. 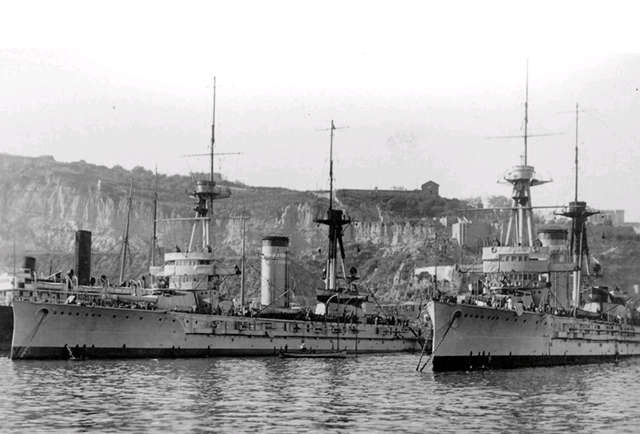 There were two Dreadnoughts of the España class. Whilst they were smaller than most of the other dreadnoughts of the period, they were well armed. Protection and speed were also issues. There were originally three ships in this class: España; Alfonso XIII; and Jaime I. The España, however, was lost in August 1923 off the coast of Morocco after running aground in a fog. The hull was unrecoverable but most everything else was recovered off the ship before the hull was later broken up in a storm. After the proclamation of the Republic, the battleship Alfonso XIII was renamed España, hence the two vessels involved in the war being the España and Jaime I. These two heavy cruisers were designed by Sir Philip Watts, a British naval architect famous for the design of the Elswick cruiser as well as HMS Dreadnought. 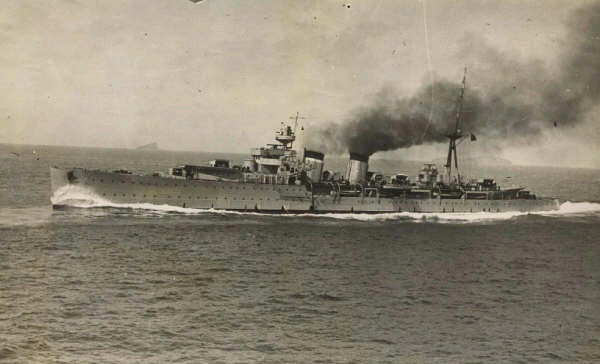 These cruisers were of the Canarias Class and were based on the British County class. The vessels were considered good designs and effective and both fell into the hands of the Nationalists. These were three light cruisers. They were designed, based on the British “Emerald” or “E” class cruisers. They were, however, armed differently. As these vessels were well-armed (even allowing for the open gun mounts) and fast, they were valuable assets to the navies of both sides in this conflict. The three ships were built at El Ferrol and were in service at the start of the war. Two fought on the Republican side (Libertad – ex-Principe Alfonso and Miguel de Cervantes) and the other on the Nationalist side (Almirante Cervera). The Cervera’s tripod mast was replaced by a pole mast during the conflict and she also received funnel caps (with the Nationalist black stripe on the funnels as well). Built over the period of World War 1 and into the twenties, this vessel was an older design. In fact, there were two ships of this class based on the British “C” class cruiers although better armed. The sister ship to the Méndez Núñez was named Blas de Lezo which was sunk by accident in 1932. She fought on the side of the Republicans. The Navarra was built over the period of World War 1 and into the twenties, similarly to the Méndez Núñez. Whilst by the time of the Spanish Civil War she was pretty much obsolete, the Nationalists refitted her in 1937. She was originally named Reina Victoria Eugenia (the English princess who was King Alfonso XIII’s wife). In 1931 the Republican Government renamed her República. The Nationalists renamed her Navarra. There were 16 vessels of this class built . The design was very similar to the British Scott class of vessels. The first two vessels of this class built were sold to Argentina. The remaining 14 vessels, built in two groups, served with the Republican forces. The vessels were Sánchez Barcaiztegui, José Luis Díez, Almirante Ferrándiz, Lepanto, Churruca, Alcalá Galiano, Almirante Valdés, Almirante Antequera, Almirante Miranda, Gravina, Escaño, Ulloa, Jorge Juan and Císcar. The Alsedo class of vessels were a smaller version of the British Nimrod class of ship. They were small, old vessels compared to the Churraca class. Only three were built. They were laid down in 1920, entering service between September 1924 and August 1925. The Alsedo and the Lazaga were Republican vessels whilst the Velasco was a Nationalist vessel. 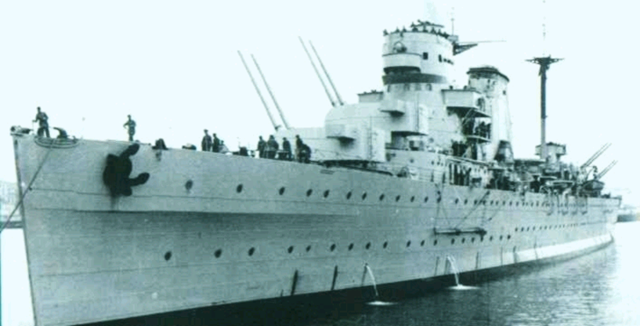 The Italian Aquila class vessels were also supplied to the Nationalists. Two vessels from this class of World War 1 “esploratore leggero” vessels were purchased by the Nationalists in1937 from the Italians. They were the Aquila and the Falco. In Nationalist service they were named Melilla and Ceuta. These vessels were the Italian vessels from World War 1, the Guglielmo Pepe and Alessandro Poeri. There were originally three vessels in the class in Italy. The third was the Cesare Rossarol. All three vessels belonged to the class of light scout ships (“esploratore leggero“). These were built in Italy immediately before World War 1, the vessels being started in 1913. The Cesare Rossarol was lost on a sunny morning on November 16th 1918 when around the middle of the day she appears to have hit a mine near Cape Great Munat. The remaining two vessels of this class were purchased by the Nationalists in Spain in 1937 where they were renamed the Huesca and the Teruel. I've stumbled across your website researching a ship-modelling project (Baleares, at 1:96 scale), and would like to congratulate you on some excellent research and information. Did you come across any plans for these ships? I've found such a wealth of photos of the ship that I'm planning to get my own drawings done using a County class basis. I’ve also painted some SCW warships recently and I must tell you that it seems that both sides used different. Nationalist used pre-war color but Republican adopted a darker grey.